The average washing machine is supposed to last 11 years. I'm sure many you will agree that it's never a smooth ride to those 11 years—if you even get there. Washing machines are mechanically and technically-prone to failure. All the moving parts, punishing physics, and programming glitches that could go wrong will eventually. A washer repair could get expensive, depending on what's wrong and how bad it has gotten. Catching the early warning signs that your washing machine is failing is key. This guide will help you understand the most common problems that can occur. The rumble of a working washing machine isn't quite as bad these days. Washing machines are smart, they'll test out the degree of wobble before making adjustments. That way you don't accidentally dislodge something because you decided to wash 8 towels at once. The problem is that if your washing machine is constantly bouncing and shaking like an earthquake, it might need recalibrating. The longer you allow your washer to kick that drum around, the more potential damage. Washing machines are loud by default. The most modern washers may do a better job at insulating/buffering these sounds, but you can hear them. Certain sounds coming from your washer might cause alarm. High-pitched whining, grinding, or loud squeaks could indicate something is loose. If the washer isn't doing this noise all the time, it might not mean anything. Sometimes loose objects fallen out of pockets can cause all the noise. You'll also need to check between the drum if you don't find anything inside it. Probably one of the most difficult washer repairs will happen due to clothes snagging. Usually, clothes will get caught around the drum because of a strap or sleeve getting twisted around. This is common when clothes start to tie around other clothes and form a long wrap of fabric. This is difficult to catch unless you're watching closely at the washer window. Even then, your best cue will be listening to the cycle when it's agitating. When clothes are caught, they will throw off the timing or cause the washer to sound labored. If they wrap deep enough around the center agitator, they could be very difficult to remove. You will likely need that drum removed because if you just cut the clothes off, that leftover scrap can cause future problems. This washer machine issue usually develops very slowly. Unlike the dryer, the washing machine's vent for draining doesn't contain an easy to access catch. That means that over time, foreign objects and lint can accumulate. Eventually, the washer takes a bit longer to drain and you start to notice. For this problem, it's easily solved by checking the filter. If that doesn't fix the problem, then it's going to involve the hoses/plumbing of your home. As washers get older, the motor begins to wear out and get weaker. Eventually, it will fail to run a proper spin cycle. This starts to happen with heavy loads first, but eventually, the motor will burn out. It's important to fix this problem as soon as it appears. You might as well buy a new washer if the motor is completely dead. There are a few reasons why a washer refuses to fill with water. The most obvious problem would deal with the hose. If there's a kink in the hose, the washer can't pump water in. If someone turned off the hot water, for whatever reason, then it won't fill if your setting is on hot/hot. If none of that works, then the problem may lie with the timing mechanism. There's a timer in washers that tell them when to fill and when to stop. This timer can malfunction both ways, by never switching to fill or never switching off. If your washer starts randomly flooding, the timer or inlet valve are failing. Washing machines shouldn't smell like anything, before, during, or after use. When you start noticing a faint moldy smell coming from the washer, there are two possible reasons. One, you left your clothes in and forgot to dry them overnight. Two, the washer has a leak and water is collecting somewhere to allow mold to live. This might be in the membrane that the door closes onto or somewhere out of sight. This mold can turn into a serious issue if ignored. When you're getting no power at all to the washer, it's likely that you've blown a fuse. 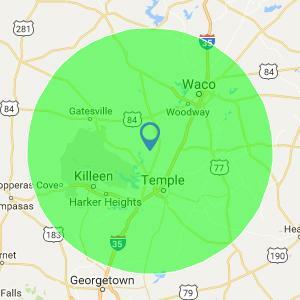 It's almost a certainty if it comes after a power outage from a storm. Don't worry, the fuse did its job and protected your washer. Replacing a fuse is dirt-cheap and it won't take long for a repairman to fix it. Things get a bit more expensive if it's not a fuse and it's an electrical problem elsewhere. Sometimes, if the washer overheats from prolonged use, it will automatically shut off. This failsafe will prevent serious damage from happening to the motor. You'll need to wait a few hours before attempting to do another load. This is a sample of what can go wrong with a washer, fundamentally. Little glitches with the electronics are a bit harder to diagnose. They're not considered emergency fixes, however, it's a good idea to schedule a washer repair job soon. Chances are these small problems could lead to an inability to select any settings on the display. The cost of a repairman shouldn't deter you from being proactive. 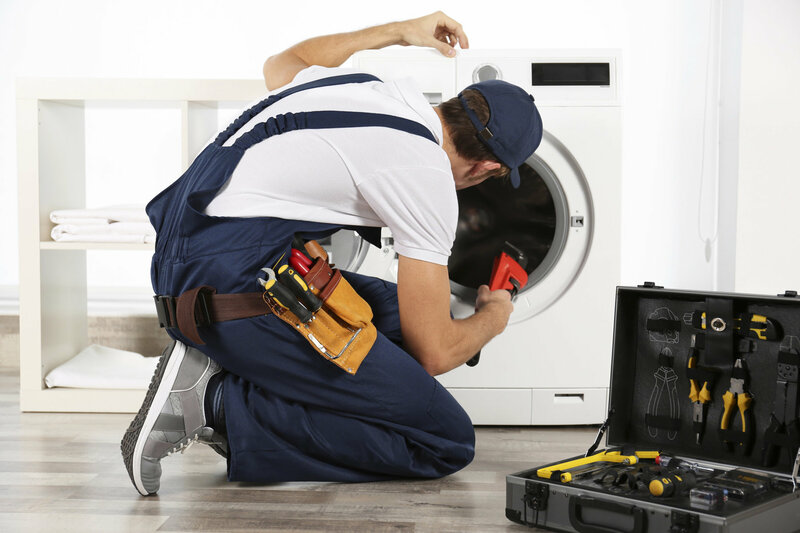 If you suspect something is wrong, your washer is underperforming, or need help installing a new one, contact us today. At On Point Service, we stand by our professionalism and honesty in Texas for over 20 years.